Comic thriller with dark undertones and a big heart, set on the island of Ibiza. 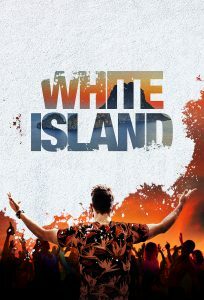 When Connor's best friend becomes innocently embroiled in the plans of a gang in Ibiza, he is the only one who can help him, but it means returning to the island he has been avoiding since things for him became complicated. Once back, Connor is reunited with Leo, his former boss and mentor, only thing is, Leo is trying to kill himself. Amongst the mayhem of the party island , underwater drops and a gorgeous diving instructor, Connor's journey teaches Leo that every day is precious and Connor that his life in London is not as perfect as it seems and that if he deals with his past, there is only one place he'll ever be truly happy...Ibiza.